Providing a full range of event services incorporating design, procurement and management, best known for our Charitable work (The Firecracker Ball) Corporate events, private parties & weddings. Our sister company, Angels Style, offers prop hire, event styling and independent management, enabling you to pick and mix services. 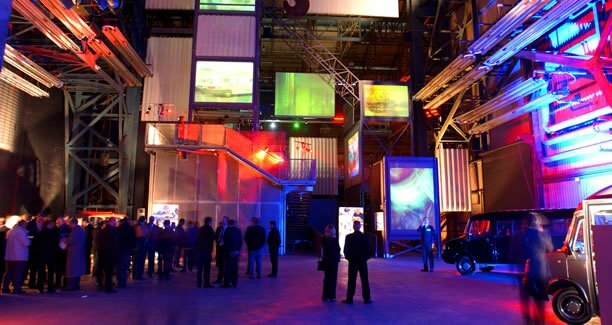 A most cost effective way of producing a unique event. Award winning event management company. Established for over 18 years. We can provide anything you need to make your event special or we can provide a complete event management solution from start to finish. If you're an individual or a PLC you'll still receive a personalised, professional service. NotJust events, is not just that. They pride themselves on offering the most elegant, entertaining and extravagant events. They prefer to meet clients in person. Helping you to create the most memorable and personalised event for you and your guests. From event planning, finding the right venue, organising entertainment, food and drinks, designing the invitations and managing the process, staff and resourcing the event and organising special effects. TCM offers a variety of conference management services to those involved in planning and organising events throughout Yorkshire and beyond. The service is provided to ensure your time is spent as efficiently and effectively as possible. The initial step of finding and reserving a venue for your event is free. Maybe you'd like to arrange an exciting Adventure Break or Corporate Event? Party Events is based in York and can organise weddings, parties, stag & hen packages, events and weekend breaks. A full-service event management and logistics company who will make a success of your event, wherever in the world it might be. No job is too big or too small, and they are here to help whether it's your first event or the next in a very long line. For 30 years we have built our reputation on serving honest food at an honest price whilst retaining the value of a family business with an old fashioned approach to service. Our combination of superb service and exemplary food and a unique atmosphere, makes us one of the leading catering companies in the North of England. Our sumptious Banqueting Rooms are ideal for a wedding venue. We are situated in Elland, West Yorkshire. With over 20 years' experience and three Michelin starred restaurants under his belt Executive Chef Simon Gueller and the team at Box Tree Events have forget a reputation for providing both quality food and exceptional service. We are delighted to welcome Marco Pierre White, celebrity chef and television presenter, who will be working with us on forthcoming projects. Whether you are organising an elegant cocktail reception, a dinner or awards ceremony, private dining or simple buffet, our events managers will work with you to create a unique package. Following on from the success of our residencies, Box Tree Events now provides a Michelin star fine dining experience at any corporate or private space of your choice. CGC caters at both fixed locations and at locations of our clients' choice, from stately homes to your own home. We cover events large and small, from the BBC Sports Personality of the Year to a private event. Our experienced chefs prepare our food from scratch. We are the genuine ‘one stop shop' for your event. We can help you plan it, provide the marquee and cater. A Yorkshire based independent wine company that offers a full service, including a personalised consultation/ wine tasting, an event wine list, glass hire, advice on food and wine matching, and a sale or return service. A talented team of chefs and event planners will handle every stage of your event with meticulous care and attention for detail. All prospective Zouk clients are encouraged to come and meet their team and sample our food. Our chefs design delicious, seasonal menus that are tailored to your personal requirements, while our event managers work hand in hand with the chef to plan each event to perfection. A highly respected company in the corporate entertainment market. Current entertainment on offer ranges from karaoke competitions, go-kart racing, inflatable assault courses, bouncy castles, hovercrafts and roulette wheels. Demon Wheelers provides all of the equipment, with all you could need for the perfect event. Providers of entertainment, theming, celebrities, speakers, team building and room décor. Churchill Marquees is a family owned marquee hire company based in Yorkshire and hiring marquees for events throughout Northern England and The UK. The company provides quality marquees for weddings, celebrations, corporate events and industrial functions. Coopers Marquees is a Yorkshire based company with a national reputation for excellence. We are the leading Marquee hire company in York. With 100 years combined knowledge of the events industry and marquee Hire in York, it would be hard to question our ability to provide flawless service in all aspects of marquee and loo hire. We provide a complete hire service - from the initial quotation through to the final site clearance, for any event. From our Marquee Hire base in York we provide our services across the world for both private and corporate clients. An expanding, award winning company that supplies top quality chair covers and table linen with a creative edge, supported by an efficient reliable service to cover events such as weddings, private parties and corporate gatherings. Adding accessories for that finishing touch to create a memorable event. We run a fleet of luxury coaches offering the latest in comfort that can be hired for days, corporate trips and transport to and from events. Wold Travel / Debonair Tours specialise in organising group tours throughout the East Yorkshire Region - Providing coach travel - hotels and venue arrangements. Explore Yorkshire in style in a chauffeur driven Range Rover. The Sovereign Chauffeur Co, founded in 1996, is widely experienced in providing personalised guided tours throughout Yorkshire and the North of England. Tours are conducted in air-conditioned executive saloons or people-carriers by chauffeurs who are extremely knowledgeable, live in the region and have benefited from professional training. 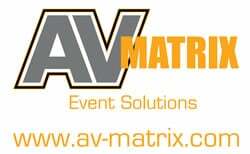 Whether it's a conference or a roadshow, a product launch or a staff awards night you can rely on AV Matrix to bring you technical know-how and creative panache to ensure everything goes without a hitch. With over 25 years' experience in the AV industry, we specialise in all areas of audio and visual equipment for both sale and hire. 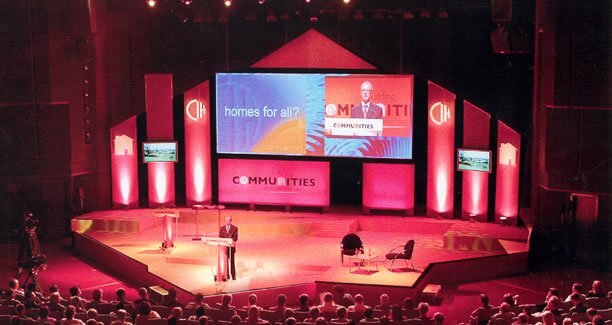 We supply DATA projectors, Plasma Screens, Projector Screens, PA Systems, DVD/Video display Systems, Stage lighting, Hand Held Audience Voting Systems and staging & Back drops. Audio visual suppliers to conferences and events throughout the Europe and based in York. We help your clients to motivate, educate, congratulate, inspire, celebrate, communicate with and entertain their audience. We are a single source of creative technical production for the live event industry. We provide great kit, great people, great ideas and great support. Crystal clear sound, dazzling projection and glittering lighting combine with cutting edge multimedia and stunning stage backdrops to create a package that fits your budget and requirements. Services include Event production project management, Audio-visual equipment services and hire, Graphic design and presentation, Video and multi-media production, Event design, Outdoor projection and set design and scenic construction.